Amy don't you mean 7 French PICC? If you are using a so called 5 French Bard Power PICC, then you are actually using a 7 French because of the huge taper. We found at our hospital that the two French size reverse taper was just too much for some of our patients to tolerate. Occasionally this type of edema is a positionally induced dependent edema. 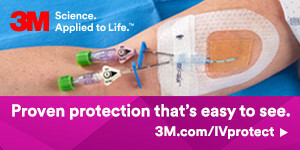 Is the patient active and mobile, or are they the kind of patient that lies curled up on the side the PICC line is on. I've seen patients that their typical resting position is with their arm kind of down below the level of their heart, or hanging of the side of the bed. If y ou think it might be positional, encourage frequent position changes, and elevate the affected arm.